You have selected the perfect stone for your home, it has been installed and it looks beautiful. What is the recommended care for your granite counter or marble floor? If you ask around you will find that you get a variety of answers that include all sorts of approaches. In this article, we will share the basic guidelines for using our products to care for your granite and marble stone and then we will cover the reasoning behind our recommended approach. Are there any specific requirements for care that were given you by the supplier, fabricator, or installer? Has the stone been intiially sealed to help protect it from quickly absorbing liquids that could harm the natural stone? The answers to these questions will impact your stone care cleaning and maintenance program. For example, there may be specific requirements for your particular kind of stone. 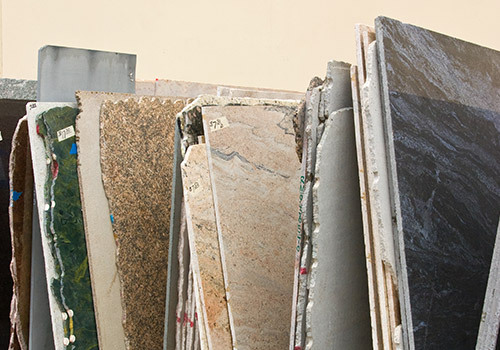 Because each slab is unique and may be composed of a variety of minerals, the first thing to do is find out if your stone needs unique care. This can be determined by the installer in most cases. Once this step has been completed, you can determine whether the stone has been sealed. If your stone has been sealed, the care process is simply a matter of using and approved cleaner like our Lustro Italiano streak free stone cleaner regular cleaning and then apply a granite polish regularly (once or twice a month) to maintain the seal so that your stone will stay protected from stains that can be caused from absorption. On the other hand, if the stone has not been sealed, then it needs to be sealed with a stone sealer to protect it from liquids. Only after sealing your stone should you begin using the cleaning and maintenance program above. Why Use Commercial Stone Care Products? Natural stones like granite and marble differ from engineered stone in a variety of key aspects. One difference is that by their very nature, they are porous. This is one of the characteristics that make granite and marble so unique and beautiful. These pores can be penetrated by liquids that may get on the surface of your stone and potentially stain or otherwise mar its natural beauty. Although you may not think of it as you look intently at your newly installed granite counter or marble flooring, they are composed of natural elements. Since this is the case, using household products that contain chemicals or acids can end up doing more harm than good. You no doubt appreciate the beauty and value of your natural stone. You have invested time, money, and perhaps even energy to have it in your home. Each of those resources had contributed to the value of your stone. Just think of how much you have invested in your natural stone. Protecting it with reliable, effective quality products from Lustro Italiano is what your granite and/or marble needs.